Shin Buddhism (Jodo Shinshu) is a path to spiritual awakening and a happier, more natural life. Entrusting in the great compassion of Amida Buddha, we are freed from the suffering inherent in human life. We are empowered to live peacefully, with strength, joy, and gratitude, accepting life exactly as it is. Amida Buddha’s great wisdom and compassion illuminate our lives amidst the chaos and confusion of the modern world, allowing us to be reborn as true and real human beings in the here and now. We live in profound gratitude for the vows made by Amida Buddha to embrace and love all beings equally, without exception, by saying Namo Amida Butsu (Entrusting in the Buddha of Infinite Light and Life) throughout our lives. See also Shin Dharma Net, Rev. 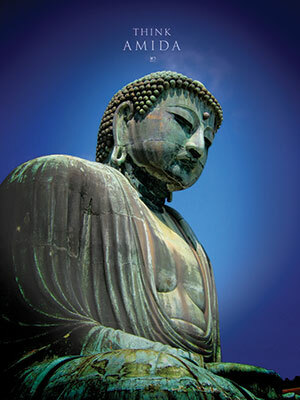 Dr. Alfred Bloom’s extensive website now hosted by the Buddhist Study Center.